1. 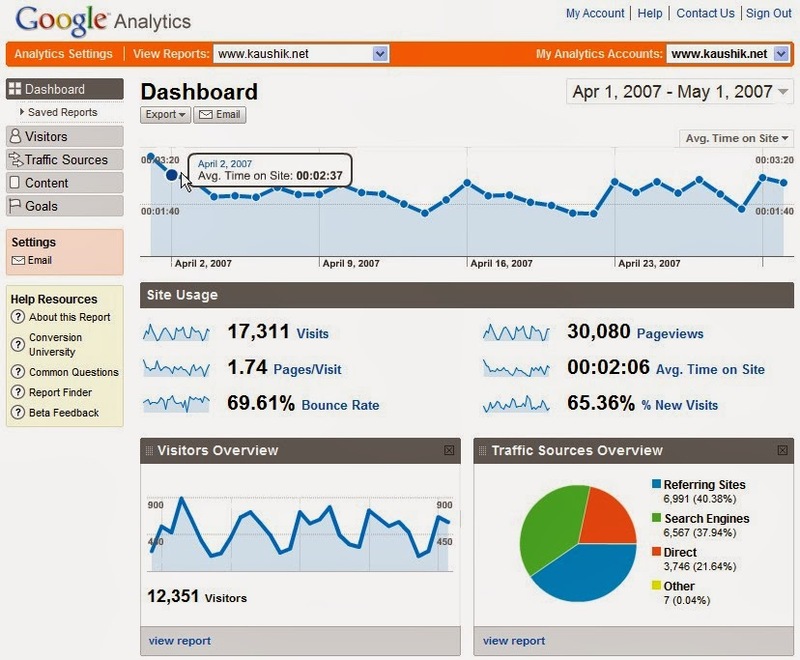 Traffic sources, SEO – connecting with your Google Webmaster account and Google analytics you are able to see your SEO data via webmaster tools. E.g. , you can see the words that bring you traffic. 2. Content Overview shows you which pages are getting the most traffic. Knowing what content is most attractive to your audience motivates you to create more content in this area and to help increase traffic further. You can optimize this new content based on similar keywords. 3. Bounce rate is a visit to your site and then leaving without going any further. Reasons behind a high bounce rate: using mobile service, irrelevant content, or a blog post - so that the visitor is not interested or there are no clear indicators of action to get them click trough the rest of the content. The bounce rate is relevant to look into improvements in content lead visitors to spending more time on the website, and eventually, to more visitors.